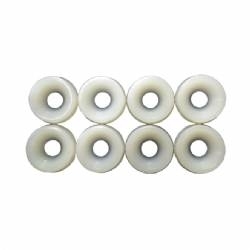 Fin Screw Washers are perfect if you have a non countersunk board and you have countersunk hardware. Also the washers help protect the holes through your board. Outer diameter 1.5cm and the inner diameter is .5cm.